Most visitors to French Polynesia are on vacation—and many are honeymooners—so celebratory sips and sunset cocktails on the beach are pretty much de rigueur. 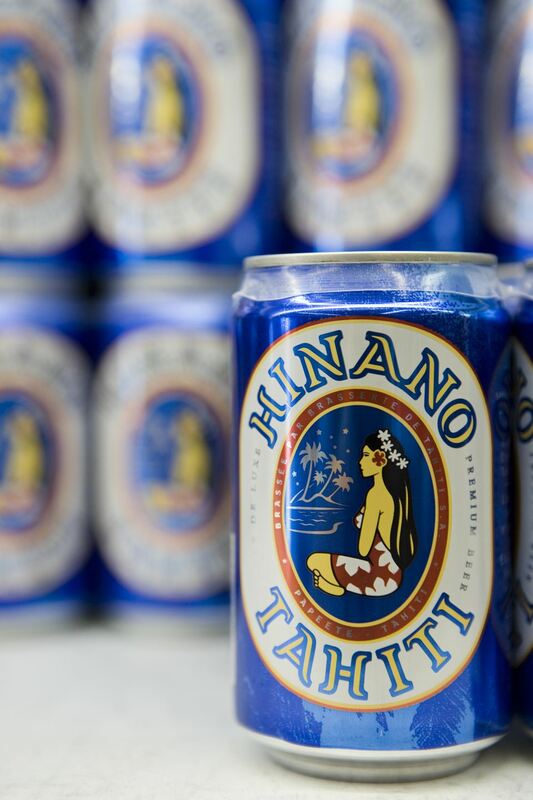 Go local with an icy, golden Hinano lager, "the beer of Tahiti." Its taste is crisp and refreshing, with a touch of bitterness, and is available on draft and in bottles and cans. Brewed on Tahiti since 1955, its iconic logo—a profile of young Tahitian woman in a floral pareu—is on everything from beer cozies to souvenir T-shirts. You can also sample another Tahitian pale lager, Tabu; some visitors prefer it to Hinano, while others say it can't compare. Try both, and you can be the judge. Moorea is home to the Pineapple Factory and Fruit Juice Distillery, which many travelers visit during island tours. A highlight of a visit is a tasting of potent fruit-infused rums—from pineapple to coconut to ginger—that can leave your head spinning in the tropical heat. Given Tahiti's affiliation with France—it was an overseas territory and is now a foreign country with self-governing powers—it's no surprise that wine (vin in French) and Champagne are both ubiquitous. You'll find sommeliers and good wine lists at most resorts, many are heavy on French varietals and vintages but offering some bottles from Australia, New Zealand, and California as well. The more luxurious the resort (such as the Four Seasons Resort Bora Bora or The St. Regis Bora Bora Resort), the more extensive the offerings will be. Stay a week at any resort, and you're apt to try at least seven fruity, frothy alcohol-laden beverages as each dawn brings a new "cocktail of the day" at the pool bar. Many are inspired by local ingredients such as coconut, banana, and vanilla, but you'll also be invited to sip creations as varied as the Ginger Margarita and the Balsamic Martini. Look for traditional tiki drinks that contain several different varieties of rum—most of these hearken back to the heyday of tiki and tropical drinks in the 1950s and 60s and won't as a saccharine as some bartender's modern-day creations.